'Game of Thrones' 101: How Many Stark Direwolves Are Left? Way back in the first episode of “Game of Thrones,” the Stark family came across a direwolf mother that had been killed by a stag. The mom didn’t make it, but the puppies survived. With one direwolf for each of the six Stark children, they all became pets, forming some pretty intense bonds with the young Starks. All those direwolves turned out to be faithful, sometimes viciously protective companions to the Stark kids. But as “Game of Thrones” has worn on and the bodies have piled up, the direwolves haven’t always survived deadly political machinations — especially when their respective owners didn’t make it out alive either. So out of the six direwolves, how many are left? In fact, it’s just two: Ghost, the direwolf belonging to Jon Snow (Kit Harrington), and Nymeria, the one that belonged to Arya Stark (Maisie Williams). Though she’s still alive, Nymeria hasn’t been part of the show since Season 1. Way back in the second episode, Nymeria defended Arya from Prince Joffrey (Jack Gleeson) on the Kingsroad. Knowing that Nymeria would be killed for attacking the prince, Arya freed her pet, throwing stones at Nymeria until she ran off into the woods. Queen Cersei (Lena Headey) still wanted a direwolf punished for what happened to Joffrey even though the guilty direwolf was gone. Lady, the well-behaved direwolf belonging to Sansa Stark (Sophie Turner), was the only one that happened to be around. Ned was forced to kill Lady by the queen’s command, taking the total down to five. The next direwolf to buy it was Grey Wind, which belonged to Robb Stark (Richard Madden). That happened at the Red Wedding in Season 3, when Robb was betrayed by the Freys and the Boltons, and he and his bannermen were executed. Grey Wind, locked up in a kennel during the feast, died when Frey soldiers shot their crossbows through the kennel bars. Direwolves did okay for a while after that, until Season 6. The direwolf belonging to Bran Stark (Isaac Hempstead Wright) died when the Three-Eyed Raven’s cave was attacked by the White Walkers. The same “Hold the Door” sequence that claimed the life of Hodor (Kristian Nairn) marked Summer’s end as he defended Bran from the undead. Shaggydog was next to go in Season 6. The direwolf that belonged to the youngest Stark kid, Rickon (Art Parkinson), died ahead of his owner when Rickon and Osha (Natalia Tena) were captured by the Umbers. 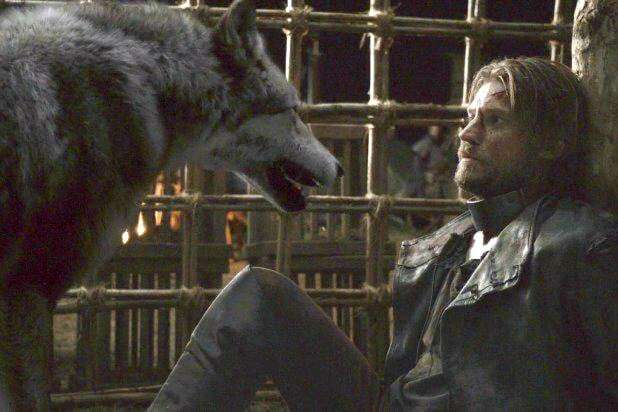 Smalljon Umber (Dean S. Jagger) presented Shaggydog’s head to Ramsay Bolton (Iwan Rheon) along with the prisoners as proof of Rickon’s identity. 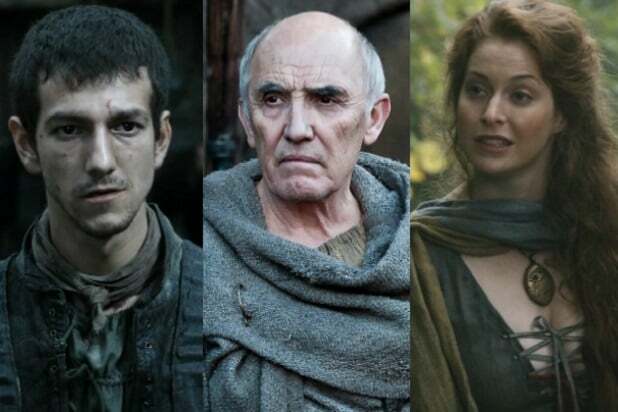 Ramsay then killed Osha, and Rickon died soon after in the Battle of the Bastards. That leaves just Ghost, who is currently at Winterfell after Jon made the direwolf sit out the Battle of the Bastards. We know for sure that Nymeria is still alive, too — she and her pack of scary wolves found Arya on the road north in Season 7. But as the leader of a wolfpack, Nymeria has made a wild animal life for herself. Despite Arya asking Nymeria to come back to her, the wolf moved on. Throughout the “A Song of Ice and Fire” books on which “Game of Thrones” is based, Arya experiences wolf dreams similar to Bran’s warg dreams with Summer, which suggest that Arya (and maybe even Jon) could have the same connection and magic powers with their direwolves that Bran does. But with Nymeria choosing to leave Arya, it seems like we might not see another Stark warg. Reuniting with Nymeria was a nice moment, but it seems unlikely Arya’s direwolf will ever be a pet again.